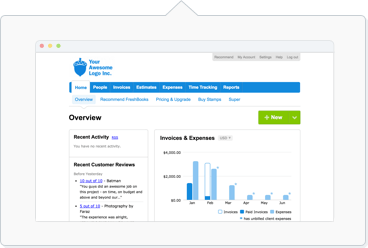 How long does FreshBooks Payments take to process payments? Once approved, it takes 2-5 business days to withdraw from WePay to your bank account (depending on your bank's speed). For Bank Transfers, it takes 3-5 business days. Note: If this is your first transaction, or an unusually larger transaction, this can take an extra business day or so for WePay’s Trust and Safety team to review. If your payments aren't following the above timeline, check out other tips here. Where can I see if a payment has been sent to my WePay account or to my bank? Note: to determine if that transaction was in a recent withdrawal to your bank account, go to the Reporting section in your WePay dashboard, click on Settlements, then download the CSV file. From there, you can search for your CC payment ID to see when it was sent to your bank. What is my reserve limit? How can I raise it? Reserves are portions of payments that WePay holds “in reserve”. Reserves are held to protect your business against chargebacks or unexpected disputes, which could lead to going into overdraft. Any transactions that go over your reserve limit will be held in reserve and paid out 7 days later. If part of a payment goes over the threshold of your reserve limit, the entire payment will be held for the standard 7 days before clearing. You can reach out to our Support if you’d like to see your $10,000/week reserve limit raised. Your business' eligibility will then be evaluated by WePay. Looking for more information on FreshBooks Payments by WePay? Check out other articles here.